--- that my blog has sat on the back burner these past two weeks. --- it's okay that my puppy struggles with kibble, there are other softer food options. --- it's okay that my puppies are horrible pen eating monsters. --- it's okay that it's almost December, that means only one month left at my store with my job! --- it's okay that my house is a mess, it means I enjoy life. --- it's okay that Eric hasn't worked in a while, means I get to spend more quality time with him. --- it's okay I'm not prepared for Dyan's wedding in 14 days. --- it's okay that my Christmas shopping isn't under control --- it's okay that I love rocking out to Christmas music. --- it's okay that Christmas has been up for weeks. :) ---it's okay to be obsessed with the new Boy Meets World Sequel! --- it's okay. I LOVE your take on why your house is messy... Mine is definitely in need of some tidying but I think I'll adopt your "loving life" mentality from now on. Much better than huffing and puffing over the clutter. 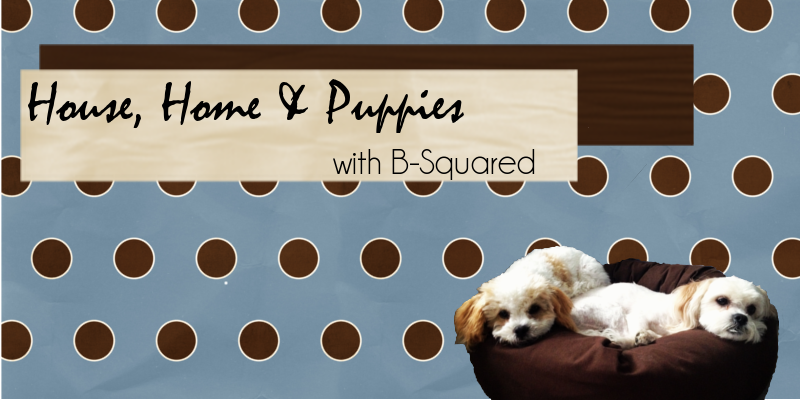 Adorable blog and pooches, glad I stopped by! Christmas music in the best! I saw a sign on groopdealz that says "pardon the mess...we live here" and your it's ok totally reminded me of that! my house is a mess too!